Buju Banton is thanking his fans for their overwhelming support over the weekend. 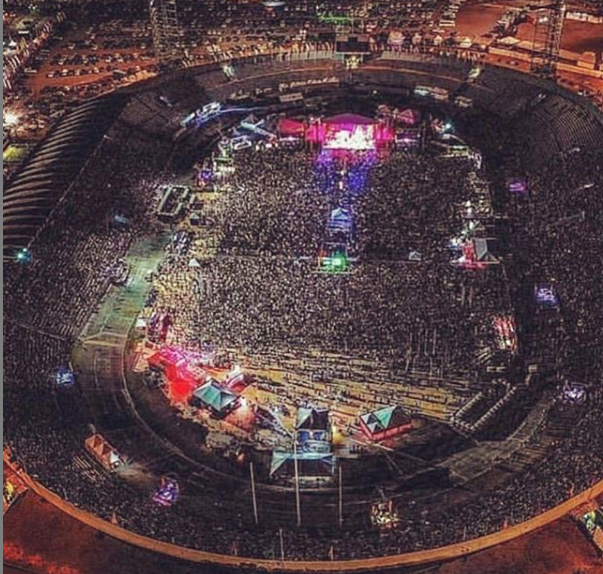 The Reggae superstar created history in Kingston, Jamaica at his Long Walk To Freedom Concert which pulled almost 40,000 patrons on Saturday night. “THANK YOU WORLD FOR SHOWING UP. #lwtf .,” The ‘Wanna Be Loved’ singer wrote. “THANK YOU FOR THE LOVE AND SUPPORT!,” he added in another post. The concert officially kicked off Buju Banton’s first concert series since he was released from a United States prison in December where he served time on drug trafficking charges. The impressive show started with performances from Wayne Marshall, Jahzeil, Delly Ranks, Ghost, LUST, Coco T, Koffee, Etana, Christopher Martin, Romain Virgo and Agent Sasco. After a set change, Reggae superstar Chronixx set the peace for the man of the moment, Buju Banton who entered the stage through the crowd. Banton’s set featured special guest appearances from British-Jamaican rapper Stefflon Don, Marcia Griffiths, Breres Hammond, Wanye Wonder and Gramps Morgan.